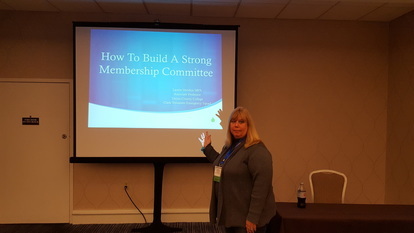 At the last EMSCNJ Symposium, Laurie Sheldon made a presentation on, "Creating a Strong Membership Committee". Laurie is with the Clark Volunteer Emergency Squad and shared some successful strategies in recruitment. We would like to share some of them with you. We all owe thanks to Laurie. We took Laurie's ideas and added our own content. First of all, it is important to have a professional membership committee that is engaged. The committee should be progressive, and should not be locked into "old time ideas". Laurie pointed out that the committee should also be prepared to say no, and not act out of desperation when selecting new members. The philosophy of recruiting only committed candidates is in line with the blog on this site, "Recruitment & Retention Tips" that was penned by Brian Gould, of Plainsboro. A Good Plan Consists Of Putting Your Assets To Work. Create an effective membership team. Your R & R team should include new members with new ideas. That does not mean scrap old ideas that worked. You need to wrap your plan around your organization's brand. To create a brand, you need to start with your organization's history and why your members joined. Starting off with the simple truth is the best way to have a message that sticks. I like some brands of organization's like "Thinking About It" or "Neighbors Helping Neighbors". Once you have your brand, you need to shout it out from the highest mountains. Website, Website, Website. Local newspaper ads 2 1/2 months before classes begin. Place posters around town. city hall, library, high schools, super markets, barber/ beauty shops, stores. Create postcards. Send them out in an ongoing process. If possible, send them out once per month. Be present at events around town. Football games, parades, street fairs, open houses, etc. Take photos of all events, add text (Crew at football game, parades, standby, etc.). Membership Application. - It saves time if the application is presented prior to the interview. If you have a website you can two types of applications. ﻿Online submission﻿.... This allows your organization to keep current with technology. Most people expect to see an online submission form. This is automatically forwarded as an email to your committee members.